Easy to use cloud e-recruitment software that helps HR recruit faster. Yes, we know it! Goal Setting is the first step in the journey to achievement…. But are we doing it right? Are we setting our performance goals correctly? Do our goals meet the 5 hallmarks of effective goal setting? Read on to learn more about the SMART Methodology of goal setting, which transforms goals into a powerful force for achievement with astonishing results. SMART stands for – Specific, Measurable, Achievable, Relevant & Time-bound. We will see not only the true meaning of SMART principles, but also its application in Goal Setting for Recruitment. Use action verbs to clearly specify what you want employees to do: increase, reduce, achieve, create etc. Also include the specific details that will tell your employees what they have to achieve. Do not write vague goals such as “Recruit Faster”. 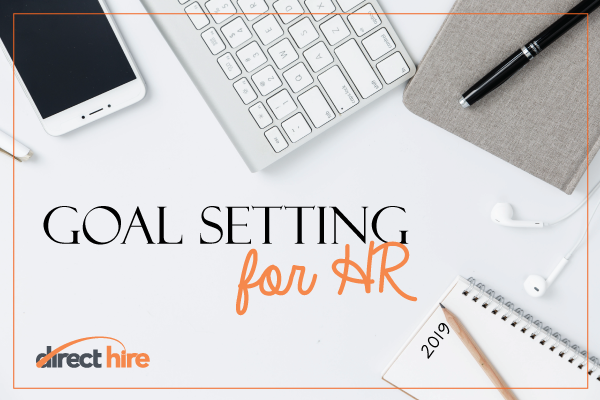 You should rather set a goal – “Reduce time to fill the positions by 40% in comparison to previous year, by 31st March 2019”. Measurable goals help to clarify expectations, track progress, objectively evaluate the achievement and stay motivated. Every goal must have a Measurable Target. E.g. – Recruitment of 20 new Sales positions to be completed by 31 Dec 2019. If someone completes recruitment for only 15 positions then his/her achievement is 75% while the achievement is 100% if all 20 positions are successfully closed. One of the common mistakes in goal setting is that too high targets are given. The goal should be achievable. It should not be out of reach otherwise employees may become demotivated. At the same time, the goal should not be too easy to achieve, it should be challenging enough to make the employee work towards its achievement. A goal which is challenging but achievable, inspires and motivates employees. (ii) Relevant and related to the organisational goals, because our ultimate goal is to ensure achievement of organisational goals. A goal relevant to the role & the organisation: for a Recruitment Head it may be to reduce the time to fill for all leadership positions by 20% as compared to previous year, by 31st March 2019. Always put a timeline to the goal. g. Reduce recruitment cost per hire by 5%, by 31st March 2019. A target date provides a deadline to focus on and the employee can plan and prioritise accordingly. So, are you reaping the full benefits of effective performance goal setting? Does your organisation set SMART Goals? Our recruitment solution, Direct Hire can help you exceed all your recruitment goals. Using Direct Hire Recruitment Software, you can achieve 55% reduction in time to fill, 35% reduction in recruitment administration, 70% increase in scare skills applications as well as a 65% reduction in total cost per hire. Click here to chat to a consultant or to set up a demo. Direct Hire Recruitment Software is offered on a Software-as-a-Service basis which ensures that our clients enjoy lower cost of ownership and mitigate the technology risk. Available 24 hours a day, seven days a week, Direct Hire Recruitment Software will create significantly better results. It is easy to deploy and easy to use, can be configured to a client’s requirements and can be integrated to existing ERP and HR systems. © 2015 Direct Hire. All rights reserved.